I am a process person. I love processes that make sense and help me to understand the point of something. Probably why I like writing. There is a process to it that allows for expression and healing at the same time. Tara Nicholle Nelson illustrates this process so well in her daily exercises. A few months ago I joined her program to help me really understand the block I was having around expressing myself. One exercise in particular that stood out was a writing exercise that asked about unwanted patterns that keep coming up. This was so awesome to me because she was asking the question I needed to hear and answer. But what I discovered went way deeper. I am a divorced mother of two. I’ve been divorced for 14 years or so. But when I answered this question I realized that for quite some time after my divorce I was holding on to something negative. I had a list. A list of traits, requirements and characteristics mostly superficial, that I thought were meaningful, about what a man had to have to be worthy of my time. What I discovered while answering this question is that this list was my wall. It was some sort of armor for protection to not be hurt again like I was in my marriage. The list represented what I thought would protect me from men taking advantage of me or better yet, getting me back to that place of feeling sad, hurt, in pain and discouraged. After my divorce I didn’t feel worthy. I was not impressed with myself. But this list of worthy traits that I expected some guy to have when he stepped to me would prove me to be worthy. Here’s the kicker, this damn list attracted me to men that were not impressive. Maybe they were superficially impressive but character wise….hell no. This created an unwanted pattern for years to come. I had no clue. I finally realized after 10 years of doing this to let the freaking list go and let God direct me to the right person for this phase of my life. That’s another thing, understanding what phase you’re at in life helps you to understand the why of what you’re going through, but that’s a whole other discussion. Anyway, it finally clicked. Well it didn’t finally click, I asked God for help. Like I literally said out loud one night while laying in bed…”God I need help. I want someone that’s right for me.” Not just someone that is “right”. Not right looking, not with the right job, or right address or right salary. I wanted someone RIGHT FOR ME. Once I said that out loud I let go of the list. I forgot about looks, cars, jobs, how many kids they had, all of the above because I knew that God would lead to me where and with who I needed to be and where I wanted to be. HE always had so why would this time be different? It wouldn’t. My higher power has never presented trash or half attempts to me as a relationship or something I need in my life. I on the other hand have picked trash aka a relationship myself, lied to myself about it, dressed it up like a million bucks in my mind and tricked myself in to believing I need the trash. But my higher power has NEVER presented anything less than wow to me. So why did I need this list? I didn’t ! 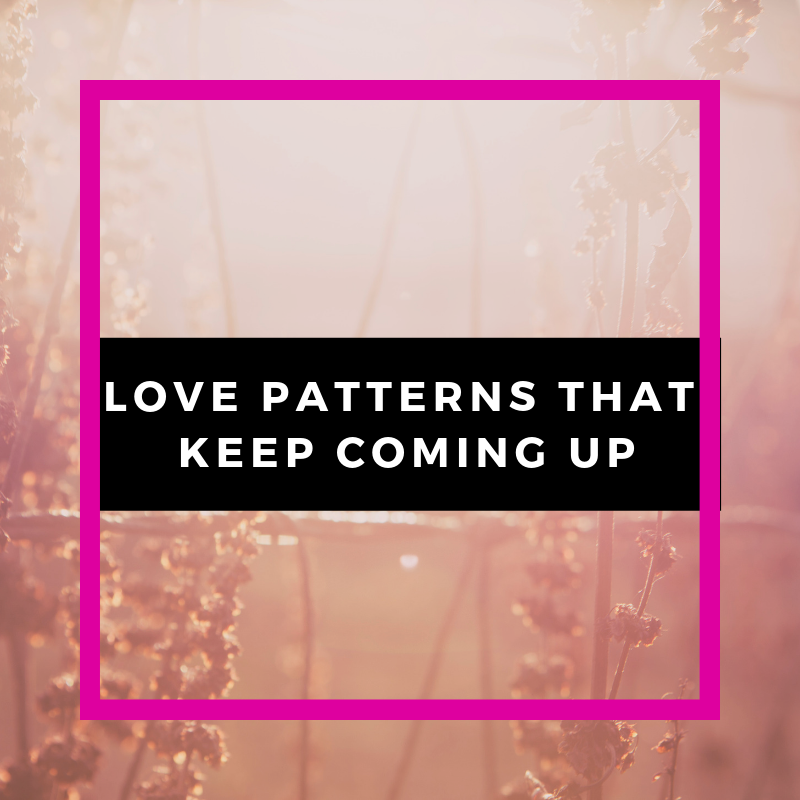 That list kept reaffirming my negative automatic thoughts around me, men and relationships which stemmed from my past marriage and probably other relationships that were not positive. That list had nothing to do with what I really wanted or needed. I had to let go of the belief that I knew more than my maker and I could out smart the universe. I can’t and I don’t want to. In reality I was getting what I was stewing in. I-n-s-e-c-u-r-i-t-y. When I think back I was attracting insecure men because I was insecure. That energy was seeping out of me and that is what I attracted right back to me. The list only echoed my insecurity. Thank goodness I got rid of that list and the behavior that went along with it. Transition after a divorce can be scary and to mitigate that fear we create certain processes for protection. It’s natural. We have to be mindful of the behavior we are creating and how we are using it and what the real intent is. Unknowingly I had created a wall that even if the right person came along they wouldn’t be able to connect with me anyway, because who would have had everything on my list? Or what if the right person didn’t meet the requirements of my list? And who am I to make a list of requirements? I wasn’t perfect. In the end we do not want to be hurt again. We want to be loved and we want to love somebody. That’s what my list should have said. That would have allowed me to be open and accepting much sooner, and saved me 10 years. But everything happens for a reason. Can you identify any behaviors you’ve adapted as a result of your divorce that are causing negative repeating patterns?